Titanium and Steel gears, brushless motor; Quick. 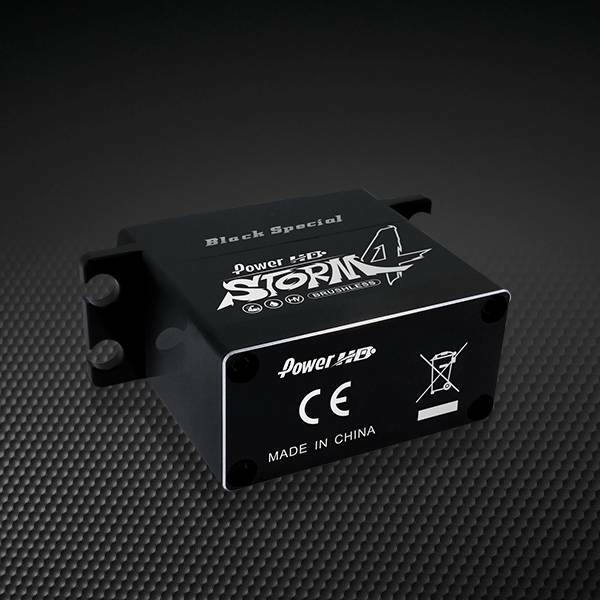 Built to endure this rigors of 1/8 scale off-road cars and large scale aircraft, the Storm-4 is ready to stand up to the job. Brushless servo motors consistently provide more torque and power per gram of motor weight, while simultaneously being more efficient than either their brushed or coreless counterparts. 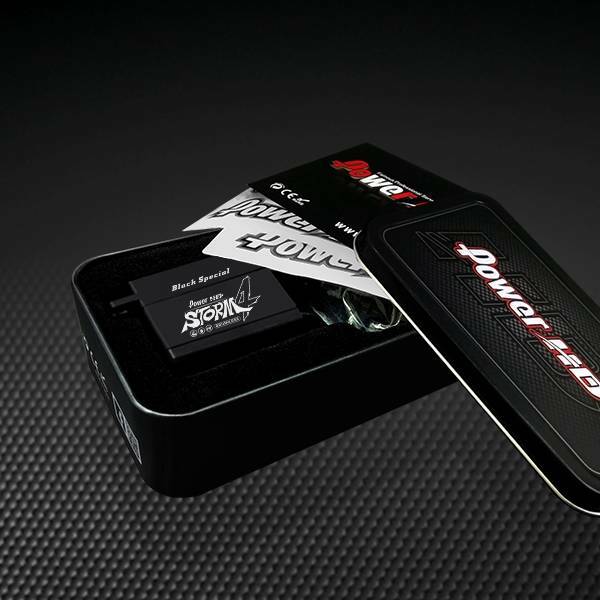 Brushless servo motors are extremely tough and precise. They excel at relentless, cyclic, full speed direction reversals, handling them with ease. A very desirable characteristic for a servo motor. 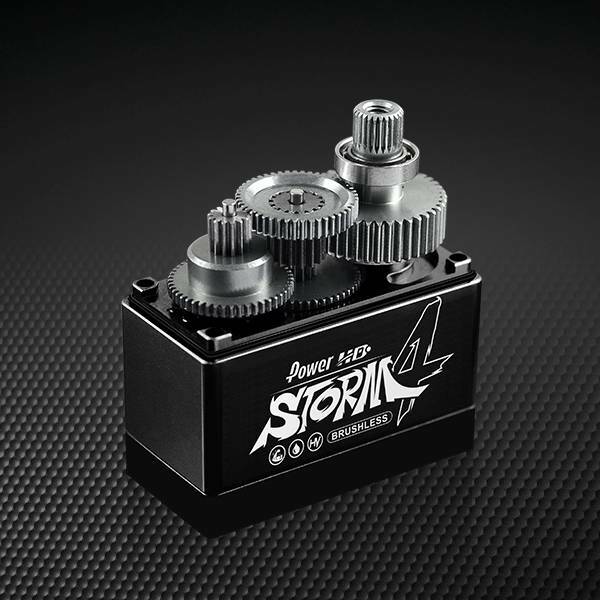 The Storm-4's brushless motor spins titanium and steel gears that are supported by bronze bushings and dual ball bearings on the output shaft. The entire body of the servo is machined from aluminum making it stronger and more flex resistant than typical plastic cased servos. 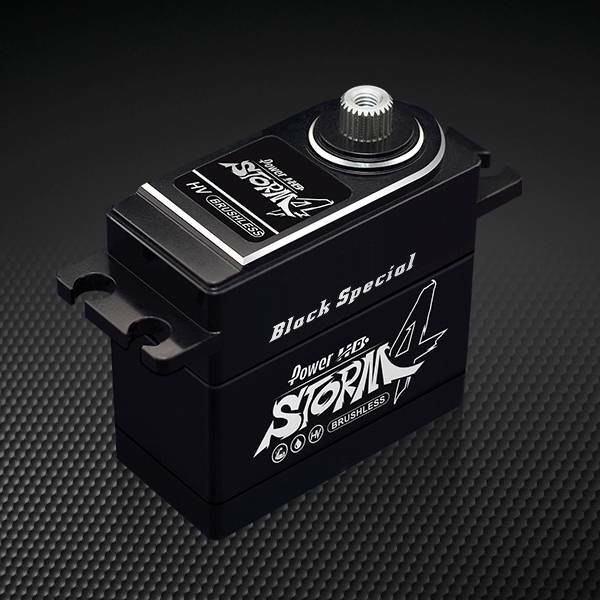 Note: At the time of this writing the Storm-4 servos come with a black servo lead. There is a thin white stripe on one of the wires. That white stripe denotes the Signal wire. FYI.